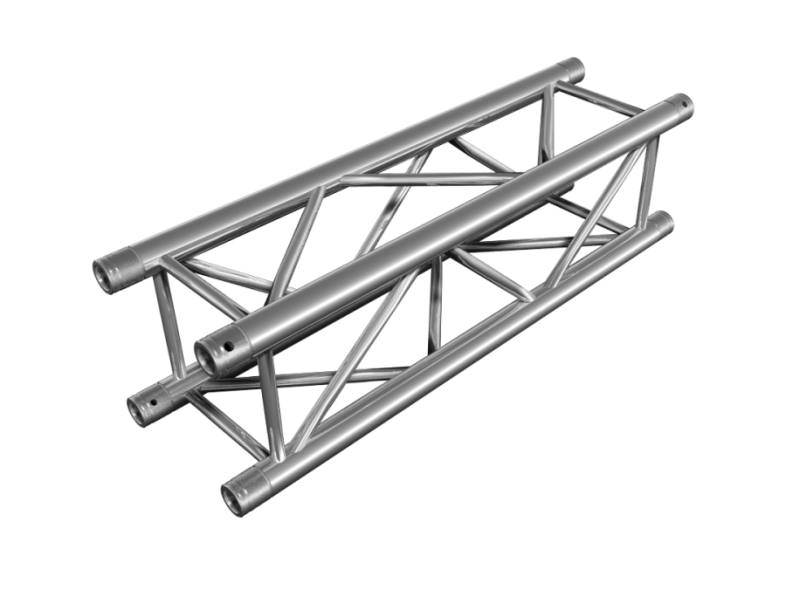 50 cm FT Truss is defined by the quick connection system. 50x2 mm tubes , 20x2 mm braces , TUV aproved , Made in Europe. 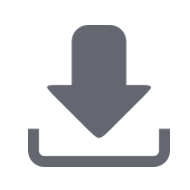 Quicklock Truss® is defined by the quick-lock connection system. The greatest advantage of this type of connection lies in fast and easy assembly of the trusses while maintaining high level of strength and durability. 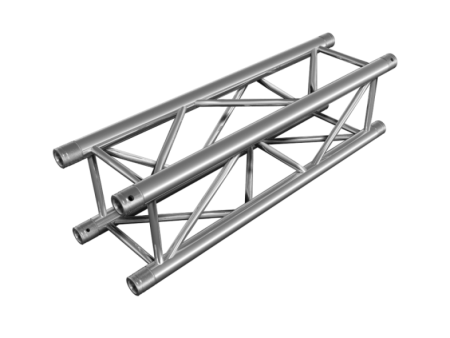 This trussing system, also known as spigoted truss, represents the widest range of aluminium trussing products in one connection type. Their application is almost limitless from small lighting truss design to large scale roof systems. First of all we offer several shapes of Quicklock Truss segments. Once you choose the shape that suits you best, you will see all the available trussing lines for the chosen shape. These lines differ in their dimensions as well as in the type of the main tube and braces constructing the traverses. Click on the link of the specific Quicklock Truss and all the individual products from the line are going to pop up. The navigator constantly indicates what shape and trussing line of Quicklock truss you are viewing at the moment.